I’d like to tell you a little story about a recent trip of mine to Africa. It was supposed to be a simple photo safari to Tanzania to shoot pictures of wild animals, but the events of that week were pivotal in creating this new-found passion of mine. I booked a package that happen to include a stop at a ceramic water filtration company. I was not looking forward to this stop, as I had purchased this itinerary mainly to experience the wild animals of the Serengeti. But I was not in that country for very long before I realized that I never really knew what the true meaning of dirt poor was. After we were shown how the crude ceramic filtration system worked, we received a demonstration which compared the water before receiving the cleansing process with the finished product. The owner’s daughter actually drank a newly processed, crystal clear, bacteria free, glass of water in front of us. This water started as bacteria filled pond water that the locals as well as their animals have to use for bathing and drinking. This company is able to produce this device for 40 US dollars and it is large enough to provide a family clean drinking water for 5 years. My small tour group was so impressed that we each bought one. What was even more rewarding is that we were able to distribute them to needy families along our route. On my return to the States I was so fired up about this process that I sought out a local nonprofit organization in Asheville, NC called Safe Water Now who gathers money to purchase these ceramic water filters for the people of Tanzania. They do not deduct any of their overhead or administrative costs from the amounts donated to them. 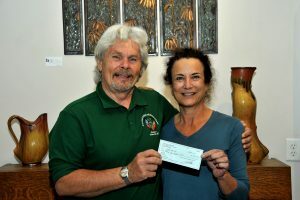 The funds that I have collected from my local division thus far have exceeded $1700, most of which has already been passed on to this organization. You can learn more about this organization by viewing their website at: www.safewaternow.org. 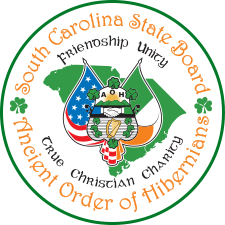 I have asked ‘Safe Water Now’ to request from the manufacturer that they use green buckets for the one’s that we have purchased as members of the Ancient Order of Hibernians. They are accommodating our request, and I fully expect to receive photographs of them once complete. I firmly believe this is Christian charity at its finest. If you’re interested in donating to this cause please send your payment to: Tommy Ennis at 1050 Lakeview Circle, Greer, SC 29651 and make your check out to: AOH Harp and Shamrock Division. Please include ‘Safe Water Now’ in the memo section. God Bless you and the people of Tanzania who so critically need our help.